The common “one size does not fit all” paradigm isolates transactional and analytical workloads into separate, specialized database systems. Operational data is periodically replicated to a data warehouse for analytics. Competitiveness of enterprises today, however, depends on real-time reporting on operational data, necessitating an integration of transactional and analytical processing in a single database system. The mixed workload should be able to query and modify common data in a shared schema. The database needs to provide performance guarantees for transactional workloads, and, at the same time, efficiently evaluate complex analytical queries. 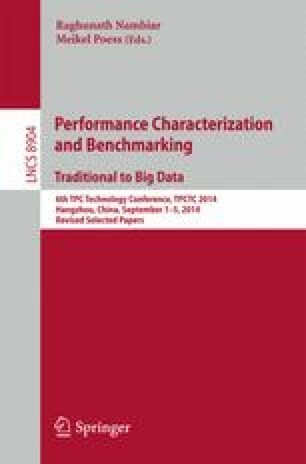 In this paper, we share our analysis of the performance of two main-memory databases that support mixed workloads, SAP HANA and HyPer, while evaluating the mixed workload CH-benCHmark. By examining their similarities and differences, we identify the factors that affect performance while scaling the number of concurrent transactional and analytical clients. The three main factors are (a) data freshness, i.e., how recent is the data processed by analytical queries, (b) flexibility, i.e., restricting transactional features in order to increase optimization choices and enhance performance, and (c) scheduling, i.e., how the mixed workload utilizes resources. Specifically for scheduling, we show that the absence of workload management under cases of high concurrency leads to analytical workloads overwhelming the system and severely hurting the performance of transactional workloads.